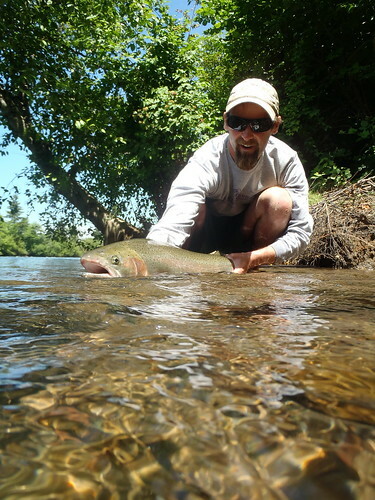 The Willamette is a little known and underrated flyfishing destination, and has some great opportunities for both summer steelhead and wild trout on the Middle Fork and Main Willamette. 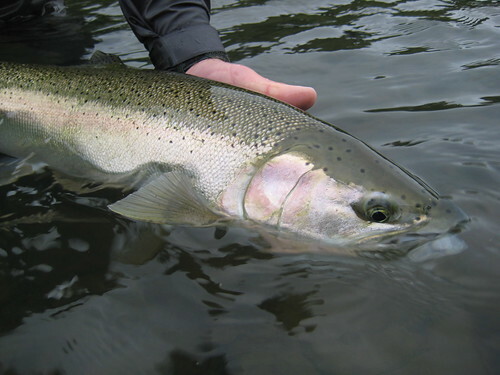 Travelling Southeast from Eugene, OR along highway 58 you will find a 13 mile stretch of free-flowing river, the Middle Fork of the Willamette, between Hills Creek Dam and Lookout Point Reservoir, which is an outstanding rainbow trout fishery, home to all wild fish. This section is classic pool and drop with some beautiful riffles and pools punctuated by some minor rapids and pocket water. 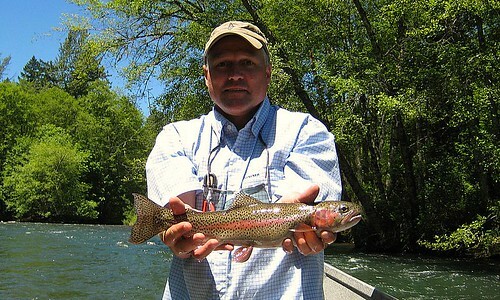 This section fishes best in the Spring, early Summer and Fall, when it gets some great hatches that stir things up. The Middle Fork runs through primarily National Forest land, which makes for good access and a somewhat more remote feel than the McKenzie which can seem almost suburban in certain stretches. 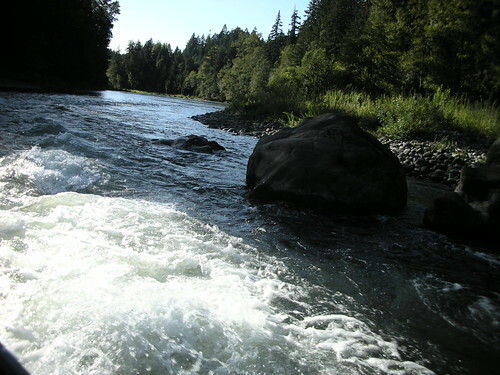 Downstream, the river flows into Lookout Point reservoir then immediately into Dexter Lake. 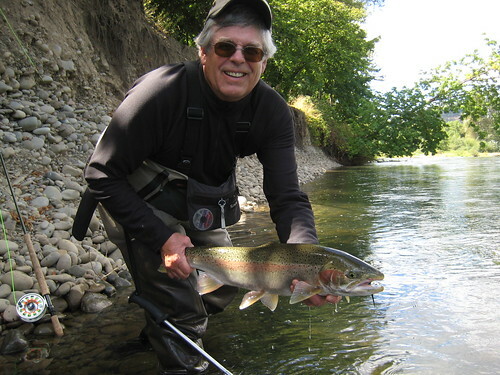 Fishing for steelhead and salmon starts below Dexter dam. 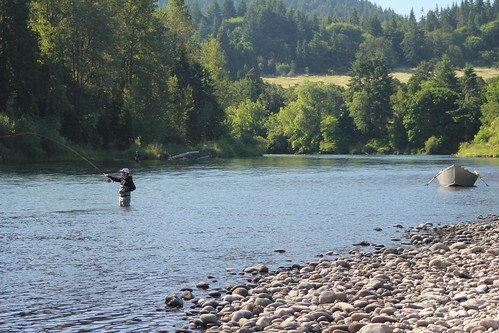 The Willamette’s runs, pools and tailouts are ideally suited to the fly angler. 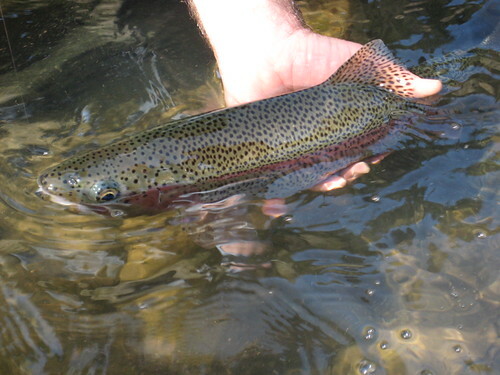 The river is relatively shallow on average, with a nice moderate pace, perfect for swinging flies. Traditional wet flies work well here, as do various leech patterns. Fishing pressure is relatively light on many of these stretches, with plenty of opportunities for solitude and good numbers of fish. 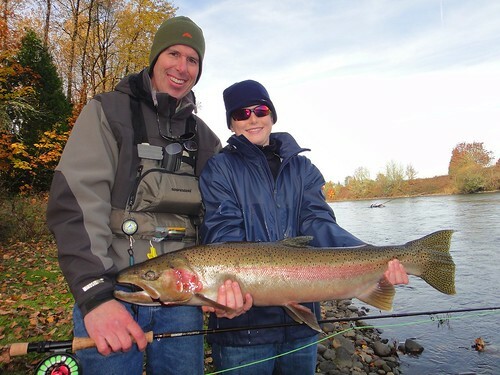 The section of the Willamette that runs through Eugene, known locally as the town run, offers surprisingly good steelhead fishing. The water in here is beautiful, the pools are punctuated by bedrock chunks and ledges, perfect holding water for these fish. Admittedly, it is an odd setting for a fishing trip, but when you hook a steelhead on the swing, the rumble of traffic fades far into the background. 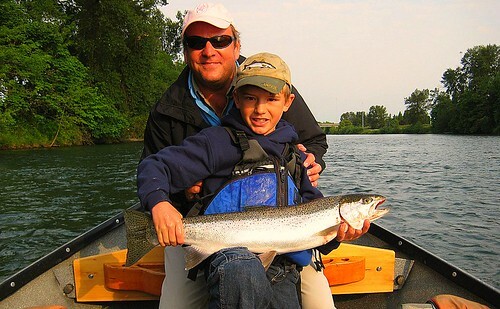 Ethan Nickel Guide Service operates under a special use permit with the Willamette National Forest and is an equal opportunity outdoor recreation service provider. A half day is $375 and includes tackle, flies etc., and beverages.